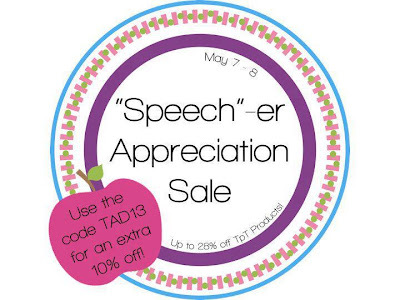 BIG "Speech" -er Appreciation Sale! Click on the image to jump to my store! ALL PRODUCTS 20% off, use promo code: TAD13 for an additional 8% off=28% off woo hoo! Stock up while you can and thank you for your continued support!